Pagoda is a tiered tower with multiple eaves, built in traditions originating in historic East Asia or with respect to those traditions, common to Nepal, India, China, Japan, Korea, Vietnam, Burma and other parts of Asia. 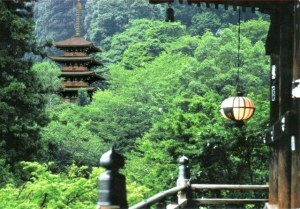 Some pagodas are used as Taoist houses of worship. Most pagodas were built to have a religious function, most commonly Buddhist, and were often located in or near viharas. In some countries, the term may refer to other religious structures.